"Madam, Nigeria is my country. Nobody is killing anyone cos no be only you do video. #VisaDonExpire #BringOurSonBack #AttentionSeeker #LoveYouStill. 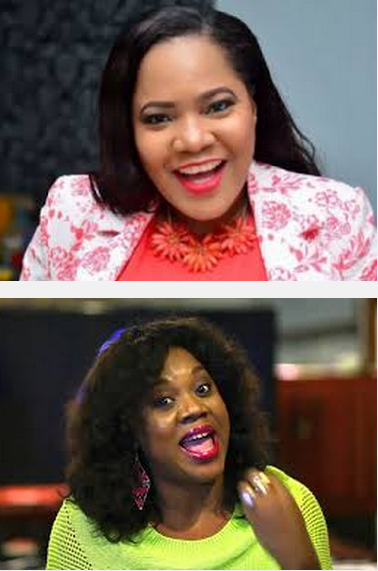 In the vlog, Stella Damasus replied Toyin last out of about 7 comments and tweets, saying she remembers Toyin calling her to work with her on a Yoruba movie. "I love you like crazy. But let's look at your hashtags again. You said #VisaDonExpire#, I have been in this country for about two years, and nobody has asked me to leave. "Apart from that, I'm doing a lot of work with the United Nations. If I had a problem with my Visa, I don't think they would be working with me. When it comes to the visa issue, let's be sure of what we are saying. "Is her son missing?. Does she have a son?. If your son is missing, let us look for him. "You know I know how to do videos as you said. Tell me and I will scream till my lungs burst or something". On the #AttentionSeeker hashtag, Stella said it's not her fault people loved talking about her as even celebs with paid for PR don't get as much column inches as she does in the tabloids. She asked Toyin to help her find out the secret. The response comes amidst other replies to mean tweets from Anonymous commenters who blasted STella for her multiple marriages, her looks, fashion sense, style and more.